As promised, the information about my Fall Mini Sessions can be seen in the flyer below. Space is limited for weekend dates. I am more flexible during the week, with times and locations. All Newborn Sessions will take place during the week October thru November unless an outdoor mini session is requested. I schedule no more than 4 families per day. If there is bad weather on your contracted date, there WILL be room to reschedule. I do hope to hear from you soon. 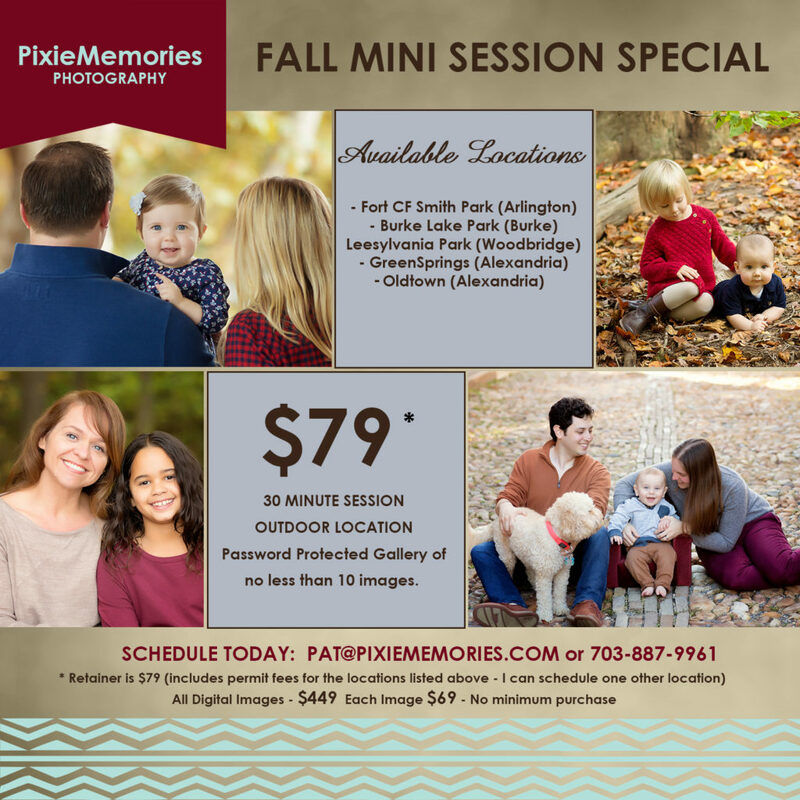 © Pixie Memories - Maternity, Newborn and Family Photography 703-887-9961|ProPhoto Photo Theme | Designed by That's Kinda Cool!